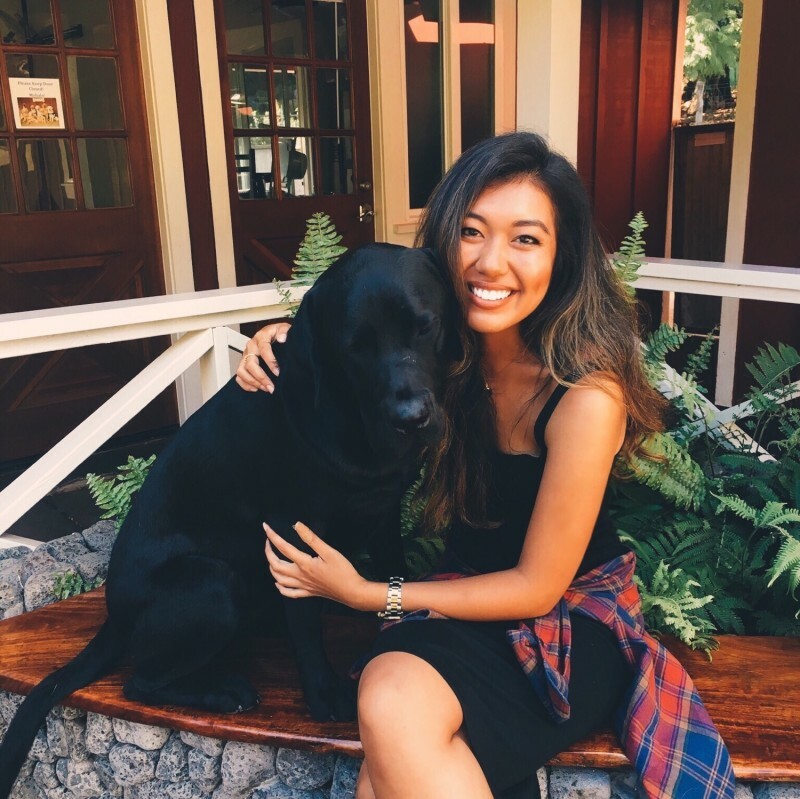 Kaitlyn, one of ADH’s interns from USC this summer, wrote the following blog post for the USC’s Chan Division of Occupational Science and Occupational Therapy website. Click here to see the entire article and hear more about Kaitlyn’s OT journey! 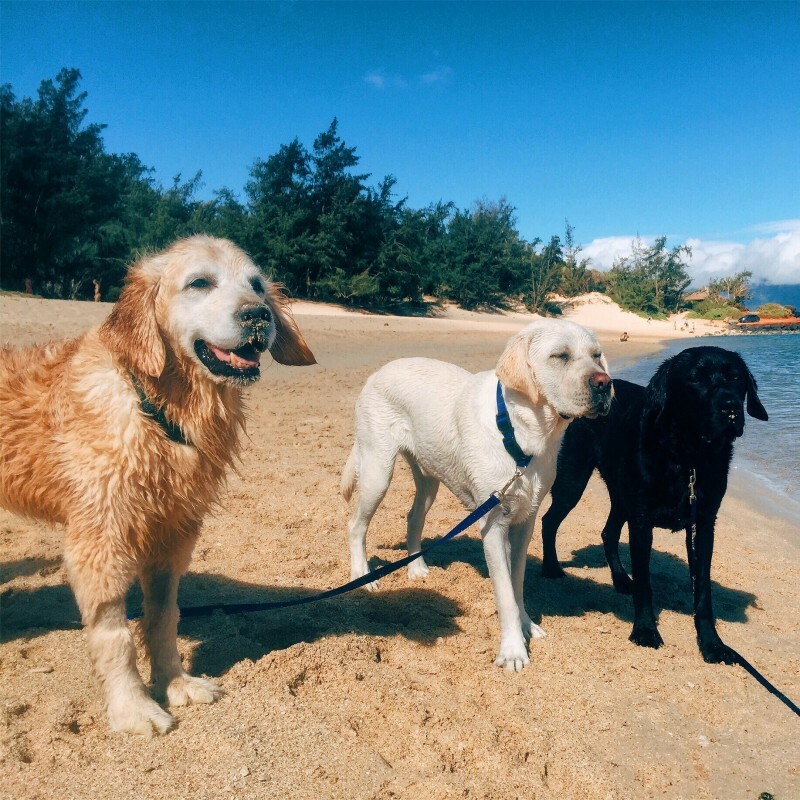 Hawaii, dogs, and OT… If this sounds like the ultimate dream trifecta of a Level II Fieldwork then let me be the one to tell you that it is actually real (because I lived it!). This past summer, I am grateful to say that I spent 3 months in Maui with Assistance Dogs of Hawaii for my first Level II Fieldwork experience. Pictured (from left to right): Ford, Wrangler, and Wesley during a trip to Spreckelsville Beach in Paia! This journey began in March of 2017, when I first underwent an application and interview process. By the end of that month, I began to mentally prepare myself for what would be a life-changing, temporary move across the Pacific Ocean to work with one the most inspiring non-profit organizations! 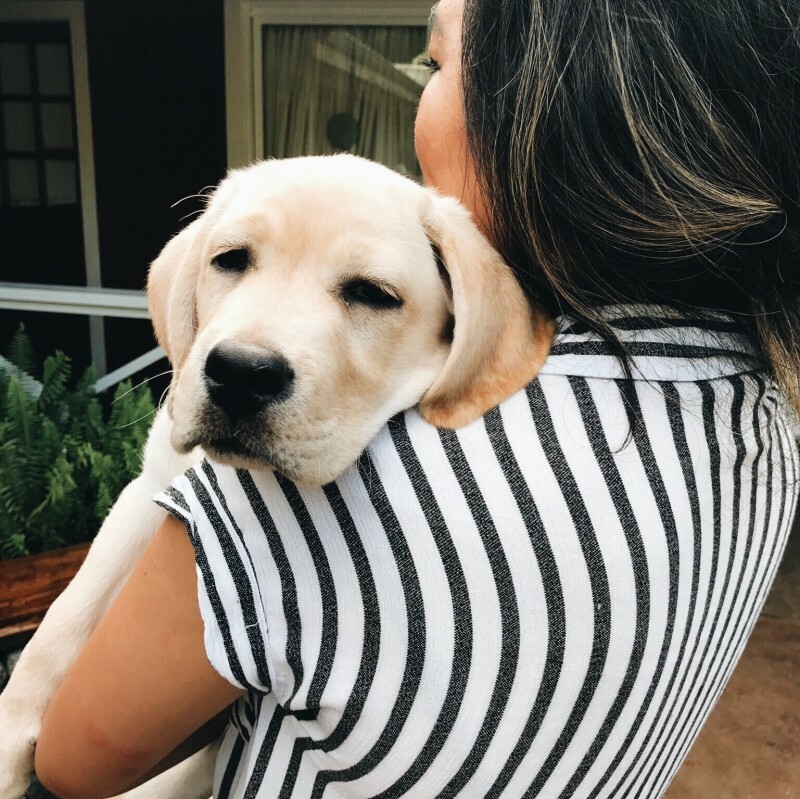 Assistance Dogs of Hawaii, founded by Mo and Will Maurer, is a fully accredited, 501(c)3 non-profit organization that provides people with physical disabilities specially trained dogs to help them live more independent lives. I was lucky enough to work under the supervision of my clinical instructor, Dr. Cate Dorr, who is a certified dog trainer and occupational therapist. 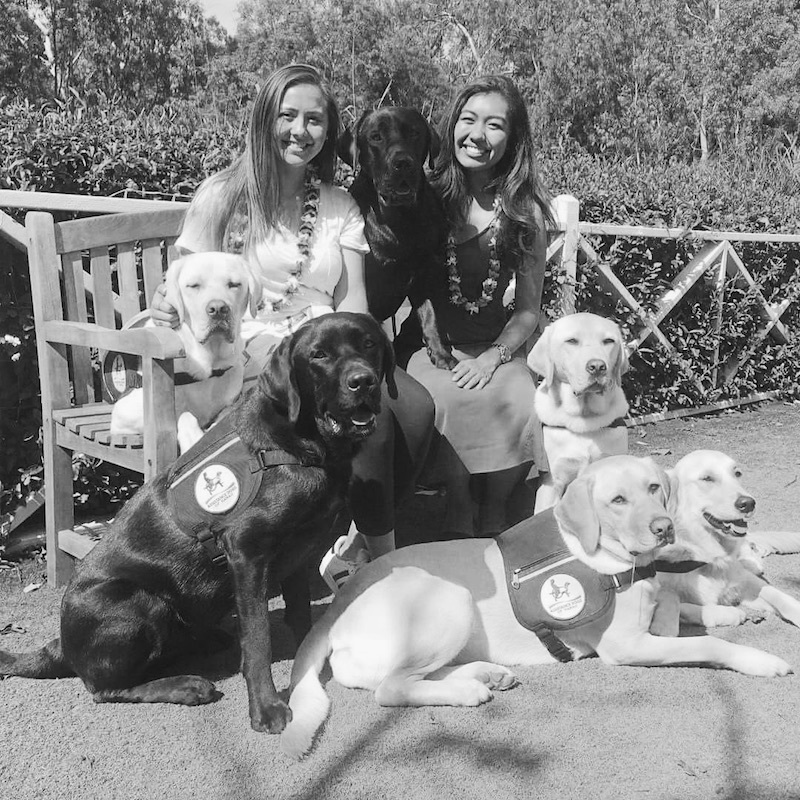 Between Assistance Dogs of Hawaii and working alongside Dr. Cate Dorr, I knew that it was going to be a summer full of growing and learning. Walker (dog pictured above) weighed in at about 90 pounds! He was the biggest of the bunch with an equally big heart! In the 3 months that I was in Maui, I was exposed to a multitude of experiences and learning opportunities. Just to name a few, I learned how to care for and train service dogs (my preview to motherhood), participated in Team Training Camp where I learned the skills of a hospital facility dog handler, conducted therapy visits, created and implemented a week-long camp dedicated to children with limited mobility called Camp Bow Wow (which was featured in Maui News! ), and of course, worked with patients of all ages and diagnoses implementing occupational therapy and Canine-Facilitated Interventions (a term coined by Dr. Dorr herself!). Towards the end of the summer, we were even provided with the opportunity to visit foundations and hospitals such as Kapiolani, Queen’s, and Shriners, all of which are located on Oahu with our (at the time) 10-week old puppies! During that same trip to Oahu, we also met with Catia Garrell, one of the founders for Thrive for Life (and an USC OT grad!) to see a home modification project in progress. At the site, we got to see how accessible home modifications are made through an OT lens, which is just another piece of evidence that since the OT scope is so broad and we should never be scared to think outside of the box! When I wasn’t working or with the dogs, I explored the island and really immersed myself in the beauty of Hawaii (and became really tan while doing so). On our last day of work, we spotted this huge rainbow and took it as a symbolic ‘farewell’ from Maui. Out of all the amazing things that I got to do while I was in Hawaii, I will say that working with patients alongside my four-legged friends proved to be something that has profoundly changed my heart. For example, one of my patients broke dog treats in order to improve strength in his hands post incomplete C5-C6 spinal cord injury and another patient with spina bifida took steps alongside one of our service dogs in training to help him engage in tabletop ambulatory level activities. Seeing the motivation and intrinsic desire to do better in therapy sessions with the presence of dogs really opened my eyes to how beneficial and essential this emerging practice is to the profession of occupational therapy. Jewel and her brother Jasper flew in to Maui at just 8 weeks old! Training began right away (-:! 1. Be open to every Level II Fieldwork placement possibility. Prior to receiving an offer from Assistance Dogs of Hawaii, I was looking into rehabilitation hospitals and clinics across the country, ranging from places like Nebraska to the Bay Area to New York. I knew that I wanted to expose myself to the best learning experience while being in OT school and for me that meant opening my mind to every option out there. While those did not necessarily work out for me at first, the opportunity with Assistance Dogs of Hawaii followed soon thereafter. When one door closes, it just means that there is a better door waiting for you. 2. Allow yourself to make mistakes and learn from them. I am so far from perfect and I know it. The beauty of being a fieldwork student is that it is okay to make mistakes… so long as you learn from them and have a positive attitude about it! Your clinical instructor is there to teach and support you through these learning curves, so don’t be too hard on yourself when you don’t know everything. 3. As much as you teach your patients, let your patients teach you too. I met the most inspiring individuals during my time in Hawaii and I can confidently say that I am a changed person because of them. 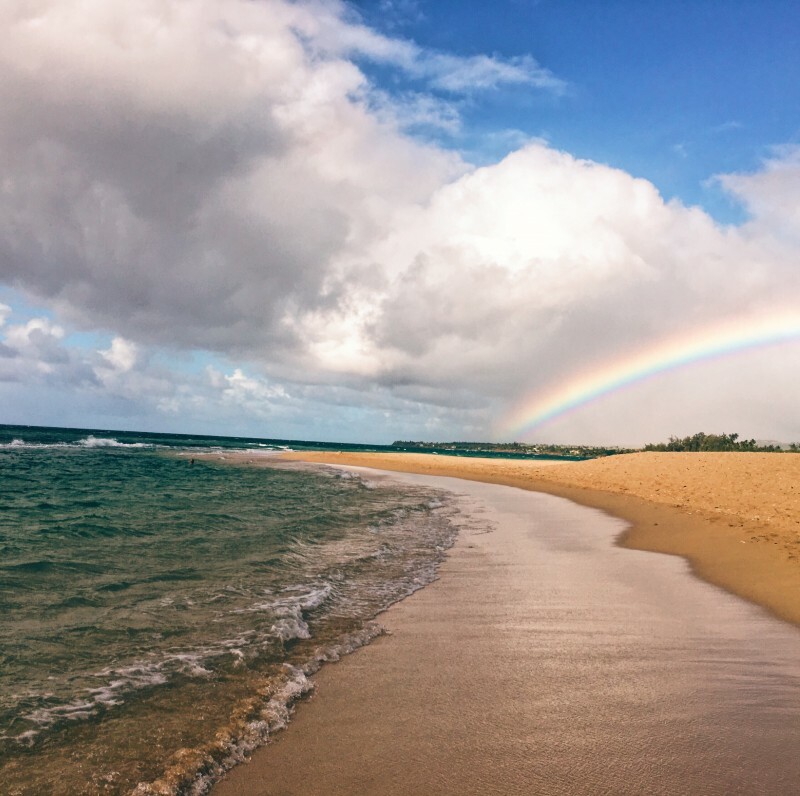 My patients, my patients’ families and friends, and the people of Hawaii have taught me the true definitions of what it means to be resilient, compassionate, and happy. Despite any hardships they were facing during that time, they always managed to have a huge smile accompanied by a huge heart. Mahalo Mo and Will Maurer, Dr. Cate Dorr, USC, Assistance Dogs of Hawaii, and the beautiful islands of Hawaii for the adventure of a lifetime.